Would you listen to And Sons again? Why? yes, absolutely. i'm sure i missed some gem of a sentence and even if i didn't, these sentences are worth listening to again. 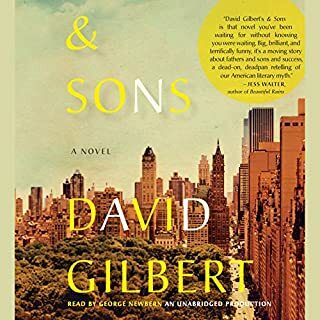 he has a great tone, generationally, his voice fit the the narrator and also spanned the decades easily, and his acting was spot on, not overdone. about fathers and sons and the tapestry that such relationships weave, however frayed. the one sort of super-natural-ish plot point was a little jarring but the writing is so beautiful and assured, it doesn't end up mattering. exceptional book. 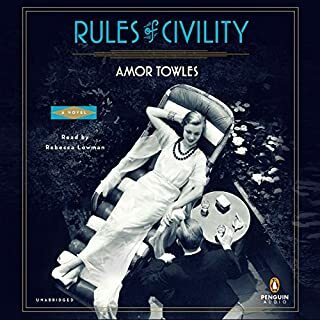 Would you consider the audio edition of Rules of Civility to be better than the print version? i didn't read the print version but the performance was pitch perfect. What was one of the most memorable moments of Rules of Civility? there are so many crystal-perfect moments in this book, i can't even choose when asked to pick 'one of the most memorable moments'. meeting tinker, the accident, katey getting her hair colored and buying the dress to wear on her birthday, katey and tinker in the cabin, katey and tinker down in his brother's tenement apartment....i could go on and on. Which character ??? as performed by Rebecca Lowman ??? was your favorite? If you could rename Rules of Civility, what would you call it? this is literature. the book sings, it buzzes, it offers metaphors that are at once original and so spot on, they're like poetry of old. a perfect marriage of poetry and prose, of plot and voice, of intellectual experience and emotional journey. everything i've read since has paled...and much that i've read before has, too.